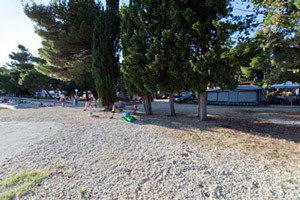 Camp Šibuljina is located in a small coastal town of Tribanj Šibuljina, just a few steps from a pebbly beach, Camp Šibuljina is surrounded by a pine tree forest and offers a spacious garden with barbecue facilities. Free Wi-Fi and free parking are available. An à-la-carte restaurant can be found in the complex, There is also a fast-food restaurant 50 metres away. Nearest grocery store is just a couple of steps away. 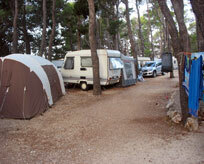 Hiking paths to Velebit Mountain start 500 metres away. 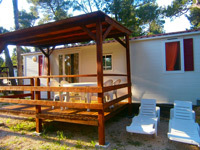 Guests can also visit National Park Paklenica, 10 km away, and National Park Kornati, reachable in a 3-hour boat ride. 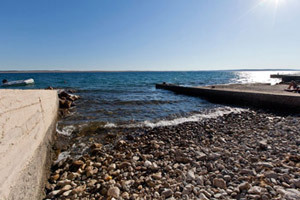 The town of Zadar is 52 km away. 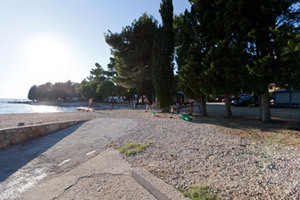 Main Bus and Train Stations, as well as the Ferry Port, are located in Zadar, while Zadar Airport is 55 km away. 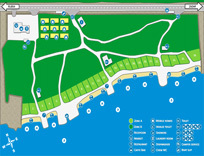 Camp map: Download the plan to your computer.